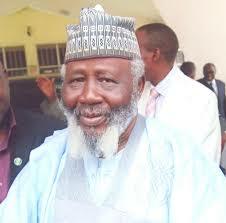 The pioneer chairman of the Independent Corrupt Practices and Other Related Offences Commission(ICPC), Justice Mustapha Akanbi, has hailed the passage of the bill on the separation of National Financial Intelligency Unit(NFIU) from the Economic and Financial Crimes Commission (EFCC). The jurist said he was in total support of the passage of the bill by the Senate to give autonomy to NFIU and separate it from the EFCC as being demanded by the Egmont Group. He said Nigeria has no choice than to comply with the Egmont Group's directive. Akanbi who was a former president of the Court of Appeal stated this during an interview with newsmen in Ilorin, Kwara state. He posited that if the Nigerian government refuses to make NFIU an independent body under a separate leadership that can take decision by itself " then it means we are ousting ourselves from the international body". He added: "Going by the canvass by various bodies including the Senate itself it appears if we don't separate the two, if we don't make NFIU independent under a separate leadership that can take decision by itself, then it means we are ousting ourselves from the international body, Egmont. "We have no choice but to comply. What is important is that the earlier we carry it out the better it is for us. If it was the former Attorney General who took NFIU to EFCC, he wanted to control them in a way but from what we now know, we cannot do that unless we want to ridicule ourselves. So the earlier the senate and various bodies concerned make NFIU an independent body, so that we can be in a position of honour and respect, the better. Its beyond argument. "I am in support of the passage of the bill by the Senate to give autonomy to the National Financial Intelligence Unit (NFIU), to sepatate it from the EFCC as an independent agency as demanded by the Egmont Group. The bill must be passed quickly too."